At a time when multilateralism in losing ground in public opinion all over the world, sovranism is rising, and not just in Europe. This quite natural trend should not be underestimated, although on the other hand is also true that multilateralism has reached the highest level in its strong development after past century’s World Wars. Despite the apparent and for many aspects real comeback of sovranism and national interest driven policy, multilateral approach is never as developed as nowadays. Multilateral fora are countless, and they are including more and more countries, as is the case of Eastern Europe. 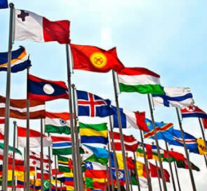 Certainly, this is the area where there are also the strongest nationalistic driven sentiments, but the majority of populations still keep believing in multilateral cooperation. Case in point is in this respect the Eu integration process in Western Balkans: some 52% of the population in Serbia would vote in favour of accession if a referendum were held tomorrow, according to a recent survey carried out by the Ministry of European integration, compared to 24% against. Just over a half of Serbia’s people support the country’s bid to join the Eu, but Belgrade is maybe the most divided capital in the Balkans on this issue while all the other countries sees stronger consensus toward this goal although existing euroskepticism. Furthermore, it is interesting to note that those who said that would vote for the Eu justified their position with better jobs and free movement that membership would provide. Sovranism vs. multilateralism trend are indeed so deeply related to employment and social needs of the populations, especially for young people. On the other hand, the same issues have an important share in mounting euroscepticism in the EU countries, thus highlighting that economic recovery and concrete policy for young generations are the key to succeed in this competition between sovranism and multilateralism. Challenges vary significantly across EU countries, but the Union is stringing to tackle the main problems related to youth unemployment. Those, of course, are key issue even to counteract sovranism and euroscepticism in a period when European economy is expected to grow for the seventh consecutive year in 2019, but at a more moderate pace. Youth unemployment has been significantly reduced in the EU, but is still unacceptably high in some Member States. At a time of more pronounced global uncertainty, it is crucial that EU Member States step up their action to boost productivity, improve the resilience of their economies and ensure that economic growth benefits all citizens. “Demographic change and new technologies are reshaping the labour market, while skills shortages are on the rise in many Member States. We need to shift up a gear. Investing in people’s skills, especially lifting the skill levels of the low-skilled, must be our top priority if we are to maintain our living standards.”, recently said Marianne Thyssen, Commissioner for Employment, Social Affairs, Skills and Labour Mobility. These challenges are not less important than migration and security related issues, although not always at the spotlight in the competition between nationalistic and multilateral approach. Sovranism in the economic field is not less important than the one in other sensitive issue: a clear example of that is US president Donald Trump’s protectionism, that has drawn opposition from who claim that it rejects basic economic wisdom.The “Make America Great” slogan and the decisions by the US to withdraw support from international organizations and multilateral trade agreements the US has championed since World War II is a good example of economic nationalism. The strategy to bring jobs back to the US is based on two axis: reduce international trade through import tariffs and revitalize American manufacturing. On the other hand it remains indisputable that globalization has already become entrenched in the way companies do business: as one of the wealthiest and most powerful countries in the world, the United States’ economy is inextricably linked to the rest of the world. Trump’s approach is just an example of a widespread trend, that find another champion in United Kingdom and Brexit, or even within the EU as is the case of the conents reached by Lega Nord in Italy and by Fidesz in Hungary. This change of approach, furthermore, highlight the risks of a revolution in international relations that carries big risks together with opportunities. The return of power politics and sovranism could serve as a wake-up call for the EU to reinforce its commitment toward promoting a world order based on effective multilateralism. Next Article » To Brexit or Not to, again?